Holy Hot Tracks, Batman! Just what is your arch nemesis up to now? That frightfully funny felon and cool crown prince of crime, Joker of Gotham City, is now serving up a little pop song goodness. But make no mistake – the ever jolly joke machine won’t be doing it at all legally! It seems sultry siren Lady Gaga is in his criminal comic sights, and he’s definitely taking no prisoners. 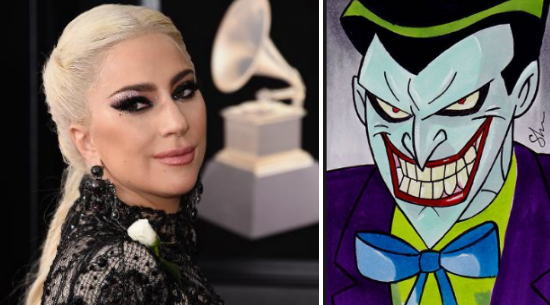 Poker Face may be what Gaga fans know and love, but from now on, Batman’s bad boy will be crooning Joker Face. Lady Gaga was too busy with her incredible entertainment career to drop any comment about the interesting and insightful incident. However, when caped crusader Batman was asked about Joker’s new pop song passion, he simply smiled and then happily started humming his own theme song. Nah, nah nah nah nah! Batman!